Orlando, Aug 9: Milwaukee Bucks centre Brook Lopez feels that an IPL like the professional league to enhance the popularity of basketball in India. During his visit to India in May earlier this year, former LA Lakers star Lopez took out time to witness an IPL match of Mumbai Indians. "India needs a professional basketball league, just like Indian version of NBA or IPL. While I was in India I watched an IPL match and noticed the craze for cricket and the league. I think in India, the interest for basketball is there, but it needs something like an IPL," Lopez told PTI in an interview on the sidelines of the Jr NBA World Championships here. "India needs to create platform or competitive basketball. I think India needs to have more situations like the Jr NBA Academy, give kids a chance to watch the games, see NBA stars play and think this is what I want to do to be a basketball player," he added. The Milwaukee Bucks star emphasized on the need to give more emphasis to the grassroot level. "India need to have more basktball courts. They need the foundation. There needs to be more of these Jr NBA academies. The kids need more access to coaching, trainers etc," Lopez said. "India need more situations like the Jr NBA Academy where kids can come, play and work together, build the foundation." 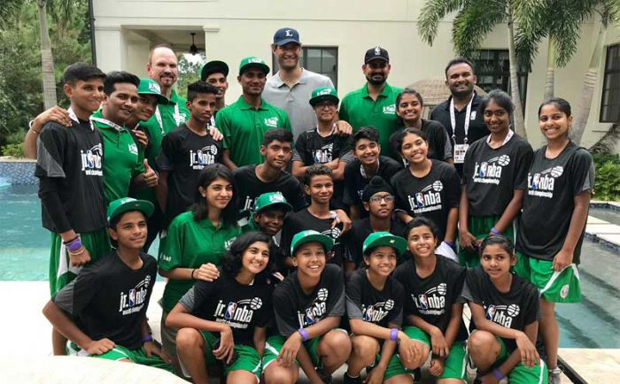 NBA's initiative to set up a Junior NBA Academy in India has been yielding positive results for the growth of the sport as two Indian teams – one boys and one girls – are currently representing the country in the inaugural Under-14 Jr NBA World Championship here. There is a thought among a section of people back home is that Indians are not suited for the game because of their body types but Lopez begs to differ. Basketball is best suited for tall, lanky players, which India lacks but Lopez said the game has evolved over the years and body types hardly matters now. "I don't think height in general has anything to do with basketball. You look at the way the NBA is trending now. There are a lot of smaller yet faster players now," he said. "When I talked about the diversity in India, I was surprised by looking at the kids, the different kinds of body types in kids from all over India. There is a lot of opportunity for India to have different type of players."